Much of Clinton County's History is tied to railroads. Local railroads carrying logs, coal, and passengers joined with larger systems, providing endless market potential. The former Lock Haven Station of the Beech Creek, Southern, and Clearfield Railroad, located in Castanea and constructed in 1883, is a fine example of Victorian architecture. Owned by the Clinton County Historical Society, it presently houses the Clinton Central Model Railroad Club and their layout of model trains and railroad memorabilia. Visit their website at www.ccmrr.org. 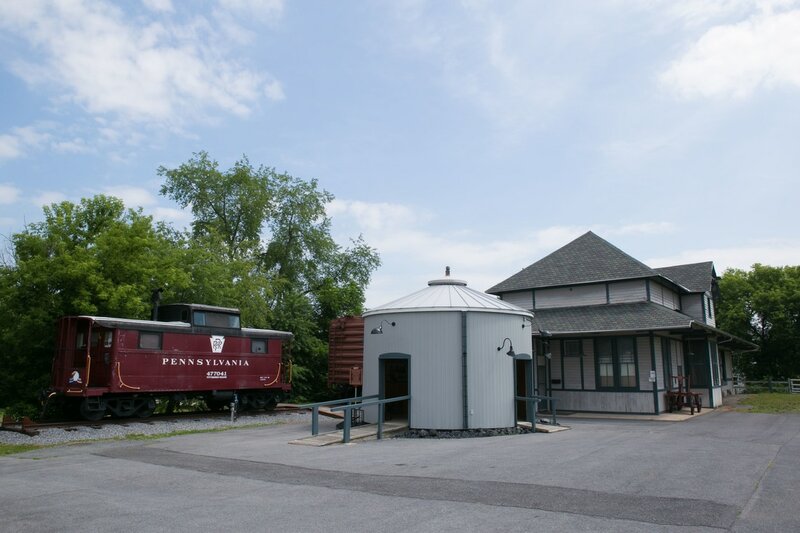 Also on site are an informational kiosk, in the shape of a 1930s water tank, and a restored 1941 caboose and boxcar. Stay in our 1941 Vintage Restored Caboose. Conveniently located near Interstate 80! Spend the night in a caboose which sleeps 2 and is equipped with sink, toilet, shower, microwave, coffee, coffee maker, and linens. Caboose is nestled on the future site of the trail head for region's Rails to Trails. Learn about our local history via railroads while sleeping next to this historic train station! Bookings are available May through of October of each summer.